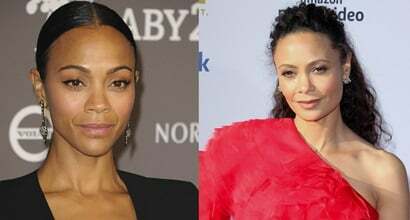 Check out the best designer dresses and shoes worn by Melanie Thandiwe “Thandie” Newton, an English actress born November 6, 1972. She wears shoe size 7 (US) and has an estimated net worth of $12 million. Husband: She married English writer, director, and producer Ol Parker in 1998. He has accumulated an estimated net worth of $10 million. 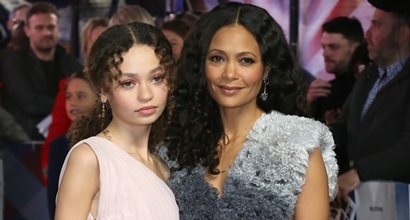 Kids: Thandie and her husband have three children: daughters Ripley (b. 2000) and Nico (b. 2004), and son Booker Jombe (b. 2014). Who Looks Best in Miu Miu Glitter Pumps: Camilla Belle or Thandie Newton?